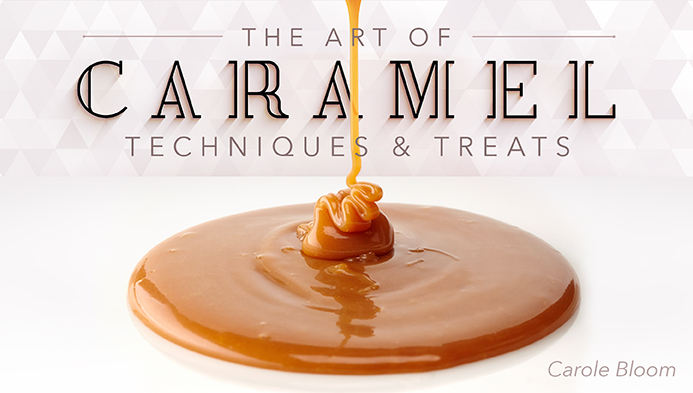 The Art of Caramel: Techniques & Treats, Craftsy.com, Denver, CO, 2015. This is not exactly a book but instead a fun hands-on online class. This class teaches you how to make caramel from stratch. Through six lessons you will learn how to make wet caramel, dry caramel, caramel sauce, brittle, praline, caramel candies, crème caramel, as well as one of my very favorite caramel desserts--Pear Tarte Tatin. 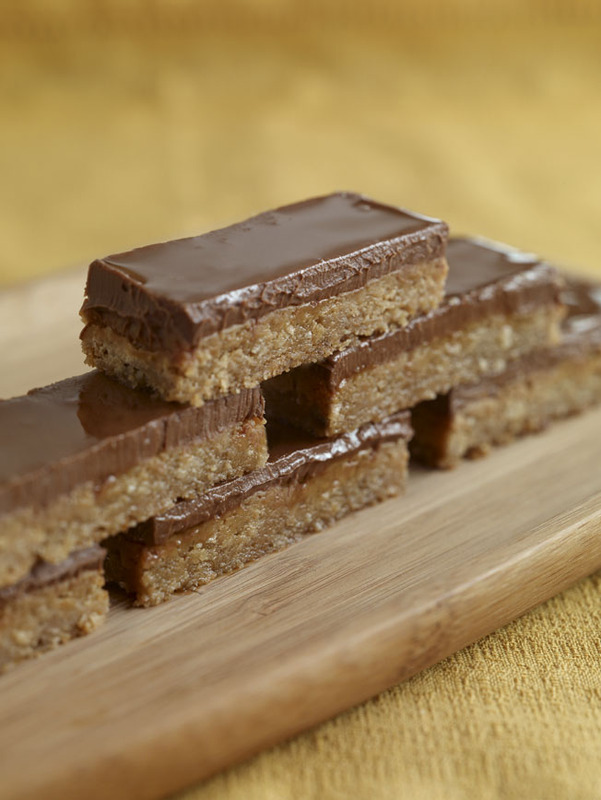 From what you learn in this class you will be able to make many fabulous caramel desserts. I have to tell you that Craftsy.com has created a very easy to access and use online class. The video and colorful graghical interface of this online class is exceptional with a host of features to make a student's learning experience enjoyable and productive. You can access the class from anywhere with any internet browser on any device including tablets, laptops, internet enabled TVs, and mobile phones. You can start and pause as well as replay any portion of a lesson whenever you would like. I am available to answer any questions you may have and you can review my responses to other questions that students have asked. Also, once you sign-up for the class it is yours forever. Although not requried you may want to buy my Caramel book that has 65 caramel recipes for you to apply your new talents. I look forward to seeing you in class and please contact me at cbloomccp@hotmail.com if you have any questions. Caramel, Gibbs Smith, Layton, UT, 2013. This is my most recently published book. Caramel is a flavor like no other. Yes, it is strongly sweet but not in an overpowering way. For me it instantly tantalizes my taste sensors in a warm and satisfying way. Just the scent of caramel brings a smile to people in anticipation of a wonderful taste experience. And for most people caramel invokes memories of growing up and of great desserts they have had. Although we usually associate caramel desserts with what we buy over the counter (or at the fair) it’s very easy to make caramel desserts and confections at home. This book show you how easy and fast it is to make 65 fabulous caramel treats including cupcakes, tartlets, cookies, mousses, candies, and ice creams. I have many favorites in this book including Caramelized Almond Financiers, Dulce De Leche Sandwich Cookies, Expresso Crème Caramel, and Caramelized White Chocolate Ice Cream. 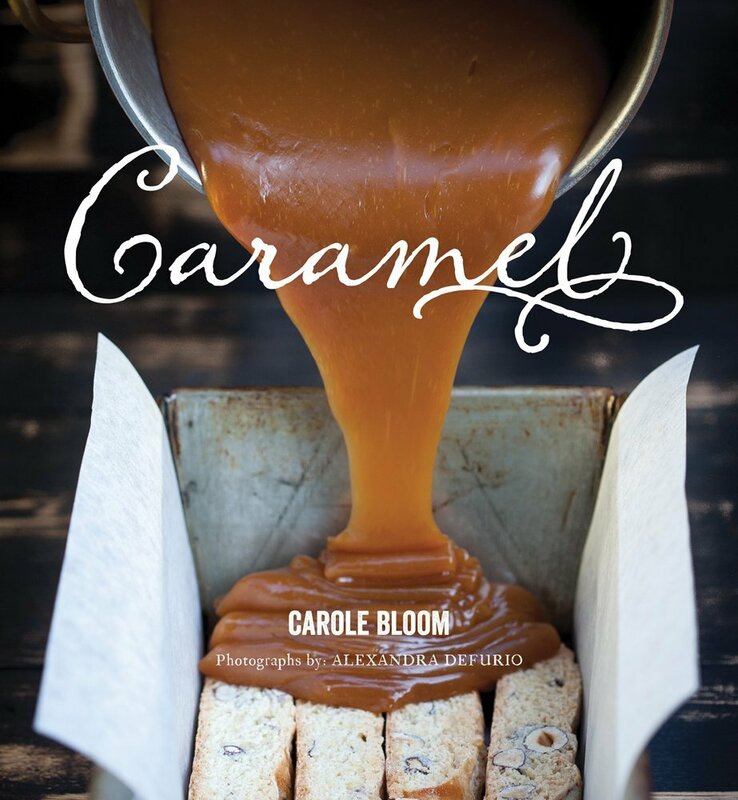 This book comes with my personal guarantee that you, your family, and your friends will love every one of the caramel recipes in this book—over and over again. Intensely Chocolate, John Wiley & Sons, New York, NY, 2010. 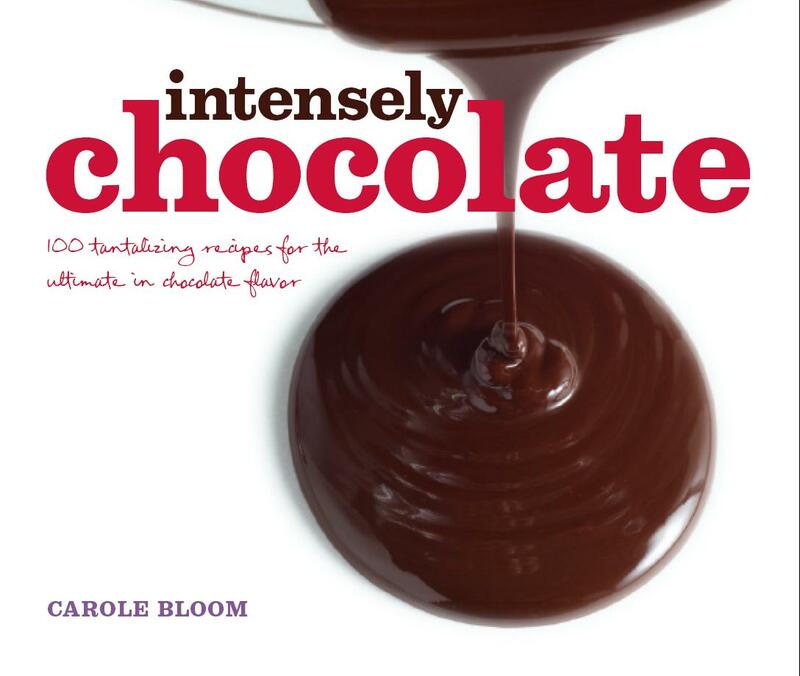 The word intensely is the best word to use in the title to describe this book because the 100 recipes are for very serious chocolate lovers. Most of the recipes are made with high cacao content dark chocolate. The book also has 40 sumptuously enticing photos (see the top of each of my website pages for a preview of these photos). In addition to regular book sellers like Barnes and Noble, Borders, and Amazon, Intensely Chocolate is also sold through the following book clubs: The Good Cook, Rhapsody, The Literary Guild, and HomeStyle. Bite-Size Desserts, John Wiley & Sons, Inc., New York, NY, 2009. If you love fabulous desserts, like me, but don't what to over do it, like me, this is the book for you. When I worked in Europe as a Pastry Chef one of my responsibilities was to make several small pastries called Petit Fours. These were generally rather elaborate and not so easy to make, but they were popular. 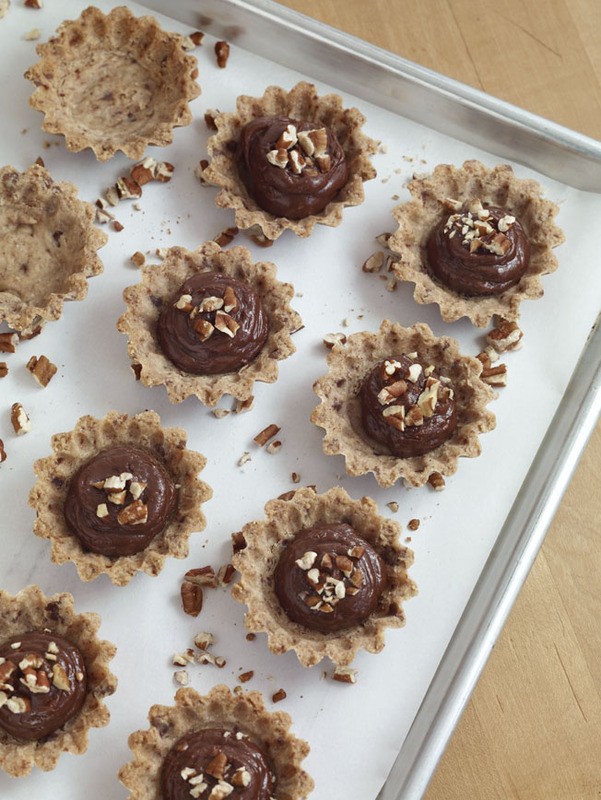 What I did with Bite-Size Desserts is create 87 mini size (bite-size) dessert recipes that are easy to make, taste fantastic, and are beautiful. And because they are small they are perfect for people who desire small portions, just a bite or two. The selection of desserts in this book is quite varied including, cakes, cupcakes, brownies, quickbreads, muffins, scones, shortcakes, pastries, tartlets, turnovers, galettes, cobblers, crisps, custards, mousses, puddings, cookies, ice cream, sorbet, and candies. It is hard for me to say which is my favorite because I truly love all the recipes in this book. My husband's top choices are Wicked Brownie Bites, Peanut Butter Cupcakes with Bittersweet Chocolate Ganache (the cover photo), Almond-Cornmeal Cakes with Strawberry Sauce, and Sea Salted Peanut Brittle. 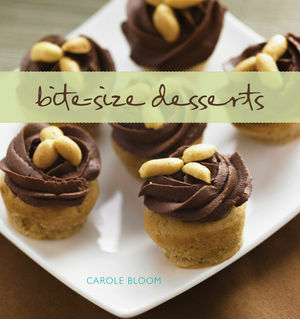 And I should add that the 40 color photos in this book will inspire you to make, and eat, these bite-size desserts. 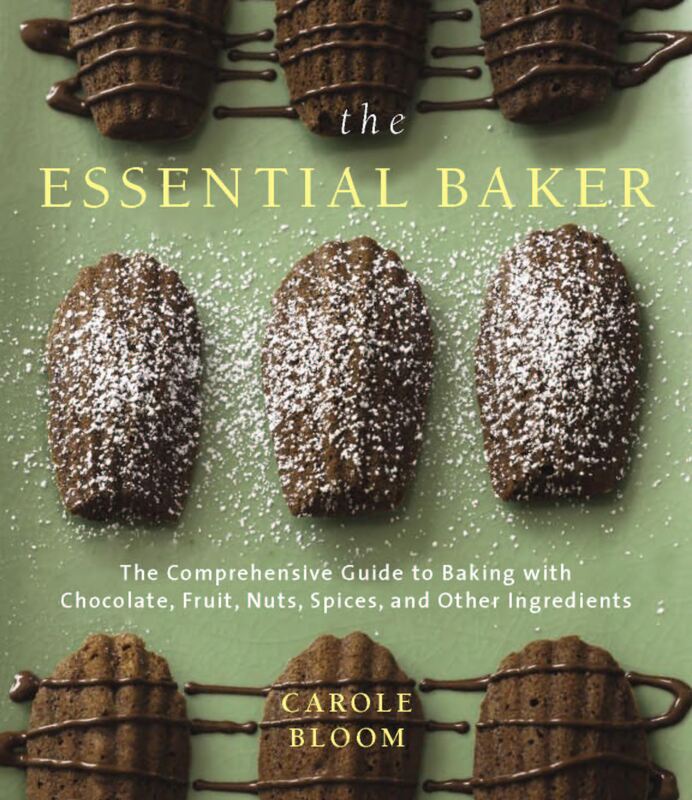 The Essential Baker: The Comprehensive Guide to Baking with Chocolate, Fruit, Nuts, Spices, and other Ingredients, John Wiley & Sons, Inc., New York, NY, 2007. "Want to learn to bake? Buy just one book--this one. Having The Essential Baker is like having a lifetime of baking experience and teaching in your kitchen. Enough information and recipes to last any baker a lifetime." Gale Gand, Executive Pastry Chef and partner, Tru Restaurant, Chicago and author of Chocolate & Vanilla. 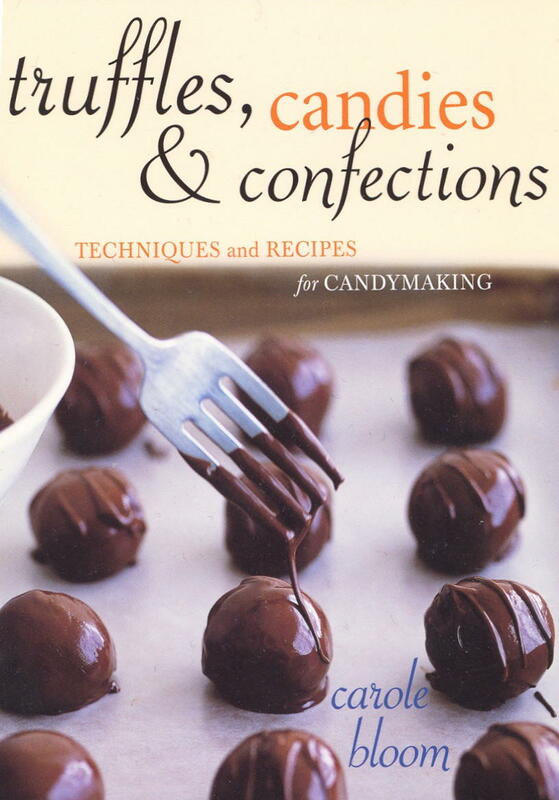 Truffles, Candies, and Confections: Techniques and Recipes for Candymaking, Ten Speed Press, Berkeley, CA, 2004. 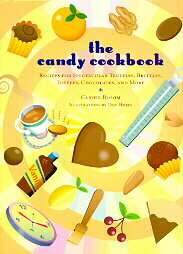 My emphasis with this book is mostly on chocolate but you will find many other great and easy to make candy recipes. Everything is written to be made in the home kitchen. 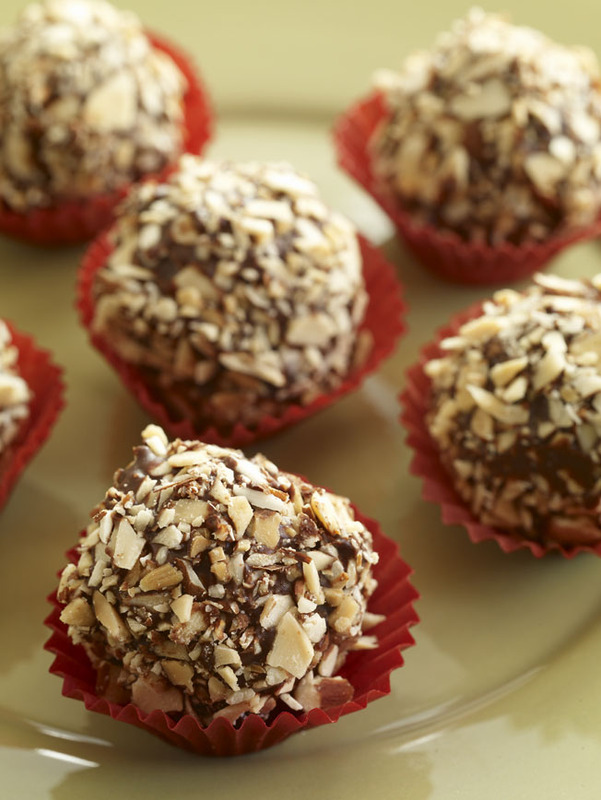 Two of my very favorite recipes are Mocha Truffles and Orange-Hazelnut Chocolate Clusters. You will love the photographs. "Smooth or chunky? Creamy or Chewy? Chocolate or vanilla? Fruit or nut-filled? Such sweet choices will surely keep you up at night, luring you into the kitchen to melt and dip your way into candy bliss, then back into bed with a stash of sumptuous sweets." 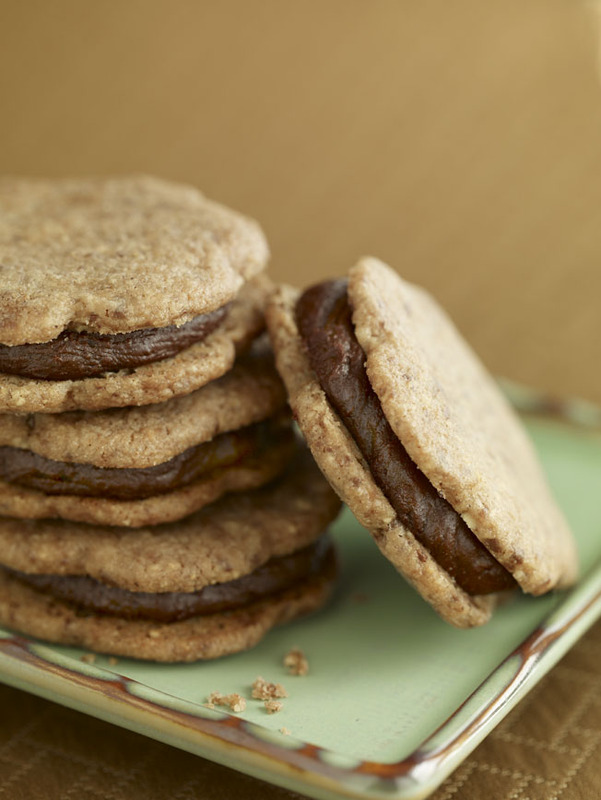 Lisa Yockelson, baking journalist and author of Baking by Flavor and Chocolate Chocolate. Chocolate Lover's Cookbook for Dummies, Wiley Publishing, New York, NY, 2002. It's chocolate, chocolate, and more chocolate in this book. There are recipes for just about every dessert made with chocolate from brownies to mousses to ice creams and even chocolate sauces. This book is full of techniques and tips and is written on a lighter note. authority." Lora Brody, author of Basic Baking. 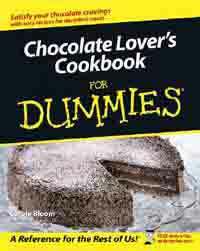 And there is a mini version of my popular Chocolate Lover's Cookbook for Dummies that can be found at the checkout counter of many major supermarkets, discount superstores, drug stores, etc. It has five chapters with 27 great chocolate recipes. It's a cute little paperback with some yummy chocolate recipes. 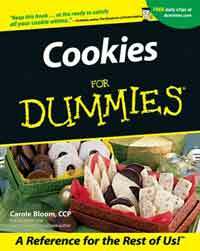 Cookies for Dummies, Wiley Publishing, New York, NY, 2001. Cookies are everyone's favorite snack. And there is nothing like freshly baked cookies to have on hand for family and friends. This book offers a very large variety of cookie recipes including many of my personal favorites like Classic Scottish Shortbread, Chocolate Macaroons, and Rugelach. The emphasis here is on fast, easy, and yummyness. "Keep this book at the ready to satisfy all your cookie whims." Flo Braker, author of The Simple Art of Perfect Baking. 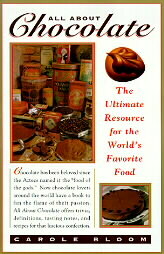 All About Chocolate: The Ultimate Resource for the Worlds's Favorite Food, Macmillan Publishing, New York, NY, 1998. This book won the pretigious Eurochocolate book of the year award in 1999. I loved writing this book because it gave me the opportunity to learn even more about chocolate. Everything about chocolate is covered from a chocolate lexicon to tasting chocolate to chocolate lore. Also included are several best of the best chocolate recipies. My favorites here are Chocolate Fudge Brownies, Crostata Di Cioccolata, and Molten Chocolate Cake. 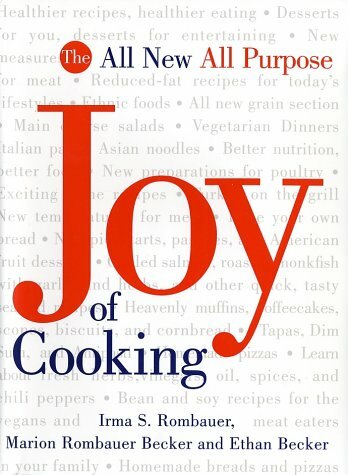 The All New All Purpose Joy of Cooking, Scribner Publishing, New York, NY, 1997. Obviously, I didn't write this book, but I did contribute to it. My contributions are in the CANDY chapter. Here you will find some great techniques for working with sugar and chocolate. For recipes I recommend the Dark Chocolate Truffles and Clear Peanut Brittle. Of course, this book has a wealth of information and recipes about practically all foods. 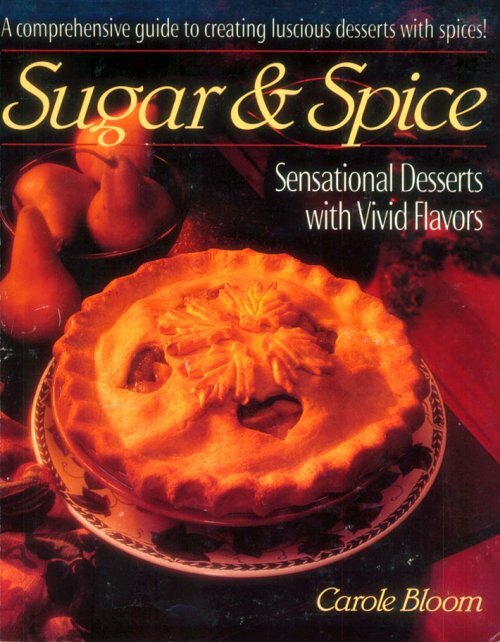 Sugar & Spice: Sensational Desserts with Vivid Flavors, HPBooks, New York, NY, 1996. If you like your traditional desserts spiced up this book is for you. This book is full of great cakes and pies and a host of other desserts make with spices such as Anise, Cinnamon, Ginger, and just about everything else on the spice rack. My favorites here include Apple and Dried Cherry Pie, Fresh Plum Custard Tart, and Cantaloupe and Coriander Sorbet. 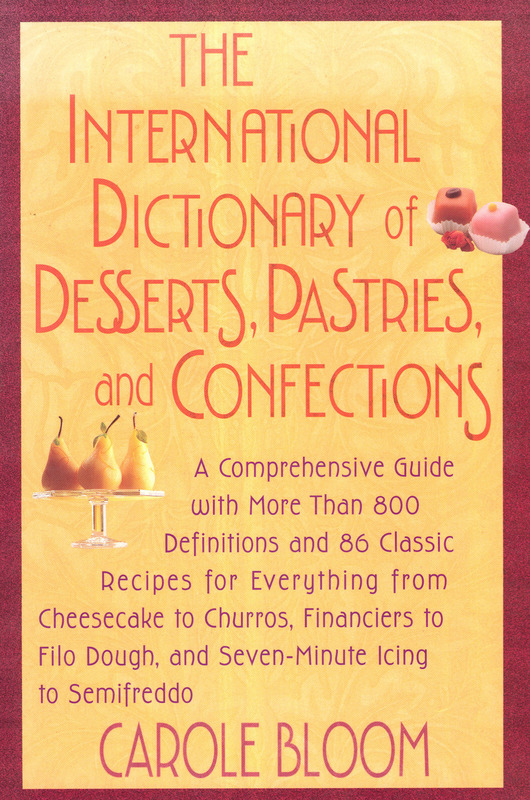 The International Dictionary of Desserts, Pastries, and Confections, Hearst Books, New York, NY, 1995. This was a fun book to write because it allowed me to write about all of what I know and do. It is packed full of definitions that are very comprehensive. And I included several classic type recipes (over 80). Here I like the Hazelnut White Chocolate Cheesecake, Linzertorte (my husband's very favorite), and Torta Di Mandorle. The Candy Cookbook, Chronicle Books, San Francisco, CA, 1995. Although this book is smaller than my other books it has got a lot in it. All types of candies are covered from chocolate truffles to marzipan to toffee. I truly like everything in this book but if I had to choose my favorites it would be White Chocolate Citrus Truffles, Orange Almond Clusters, and Pine Nut Brittle. I would be more than happy to send you 'book plates' with my signature and a personal note for any of my books. Please send an e-mail to cbloomccp@hotmail.com and I will send you as many as you would like. Be very clear on what you would like me to say on each 'book plate' and which book it goes with and don't forget to include your name and complete return address. Thanks.